This mill was built tin 1976 but it is a replica of the old grist mills used a century earlier. The mill is still in operation and visitors can buy freshly ground cornmeal if there has been enough rainfall to power the mill. 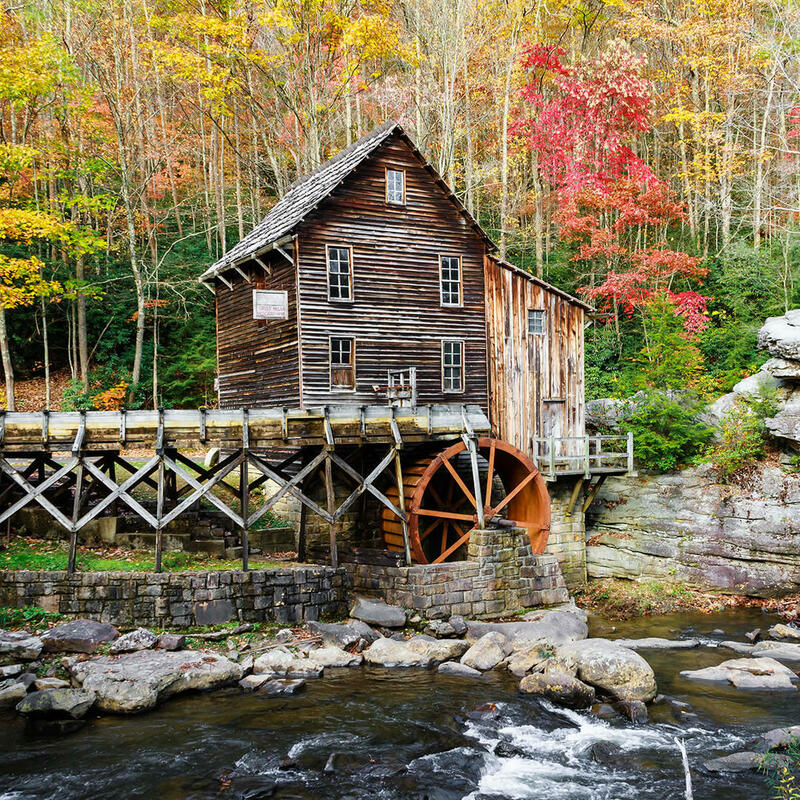 Even if the mill isn't turning, the park is one of the most beautiful, located in a dense forest along the New River Gorge.